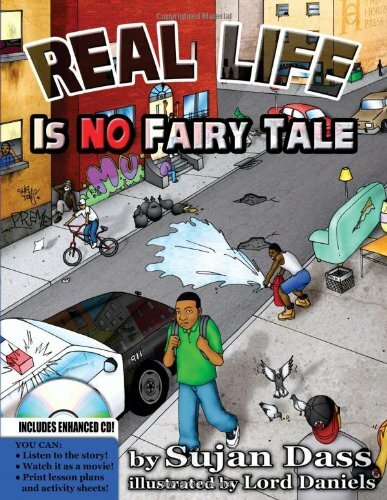 Real Life is No Fairy Tale is a children s book unlike any other. 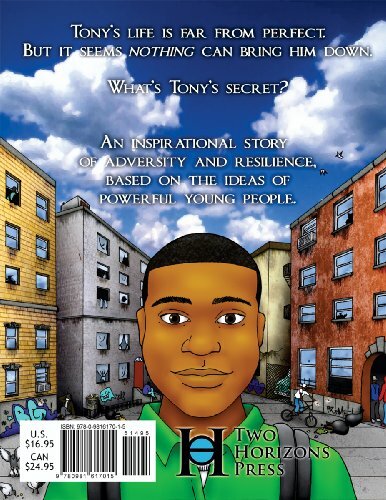 Tony s story is based on research on resilience, a psychological trait that can give children a considerable advantage in overcoming adversity. Resilience is the ability to bounce back from negative experiences and move forward with a positive outlook. Although it is a key skill in making sense out of struggle, resilience is rarely taught to children. 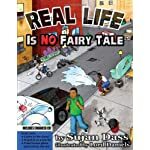 Real Life is No Fairy Tale presents a realistic portrayal of how resilience and positive thinking can drastically change the course of one s life. 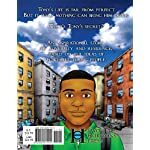 Tony s story takes place in a poor urban community, but adversity can take many shapes, forms, and colors. The story itself is written in rhythmic prose similar to that employed by hiphop artists. This dynamic can increase interest, retention and comprehension among struggling readers, and also makes the text resonate with children in a way that similar books often do not. The book s artwork also breaks new ground. The hand-drawn images incorporate even the smallest details of urban life. Like key elements in the story, much of the imagery is based on input from young people across the country. The texturing of the images was created using high- resolution photographs of urban exteriors and interiors, including the childhood home of the author. About the Enhanced CD The included disc provides a wealth of resources to accompany the book. These resources are designed to help parents, educators, and of course the readers themselves. In a CD player or computer, you can play a narration of the text in two versions. One version is set to an original musical score, and the other is read without music. A third audio track provides the music without narration. The disc also contains the captioned video of Real Life is No Fairy Tale. You can access this video by opening the CD on a computer. There you will also find lesson plans, graphic organizers, worksheets, mazes, crossword puzzles, and other printable activities. These resources will significantly extend the relevance of Real Life is No Fairy Tale in any home or classroom.